Because there’s only a few days left before Xmas, we are offering you some AMAZING discounts!! Exceptionally these sales will ONLY be available on my shop LeonorHelenoDesigns on ALittleMarket to allow fast and accurate processing of orders before Xmas! Apologies, it will be in French but please feel free to contact me if you have any question. Leonor Heleno Designs Jewelry in the press! 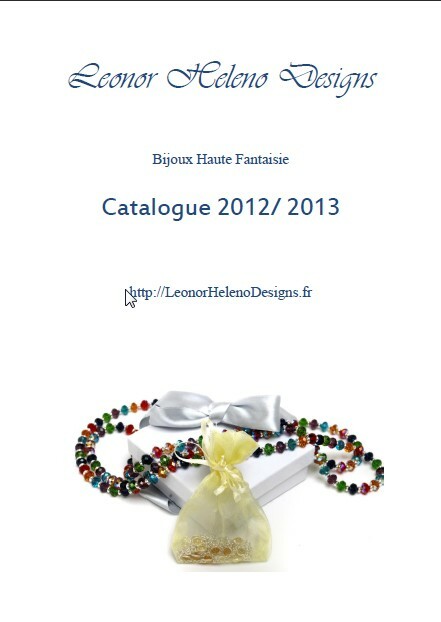 It is my honor to present you the last article about the bracelet Eternity by Leonor Heleno Designs in the press! The luxurious French magazine Le Bijoutier International published a lovely article highlighting the beautiful bracelet in their number 803. Do you know how to chose the right necklace? You would like to buy a gift to a loved one?! A difficult task for men, AND for women!! So, now you have decided to go for a necklace, you just need to choose what type, and length to get her (or him)! Inspired from the movie “The Great Gatsby”, this necklace will guarantee you the attention of your friends and family. It is shinny and it gorgeous, and will make any outfit stand out in the crowd!! Made entirely from the finest sterling silver, his tassel is also made of sterling silver. We are happy to announce the launch of the lovely and irresistible Bracelets Les Shinny! A must for the coming trends of Spring, with colours and the sophistication of the purest Crystal from Swarovski. This bracelet is a real gift of love, beautifully made of sterling silver beads and 4mm Swarovski beads, it will truly be the perfect present. Happy New Year!! ♥ Thank you all for your wonderful support. May 2013 be a very shinny year!! Still haven’t got all your Christmas shopping done?! Didn’t find yet a present for her?! Don’t panic, here are some great last minute Christmas gift ideas, that will guarantee you to impress her!! The Blue elegance is a gorgeous bracelet in sterling silver and Swarovski Crystal. A spectacular gift that will amaze more than one!